Free Express Shipping on $99+ Orders. 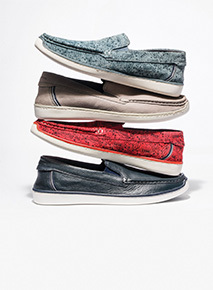 30% OFF SELECT STYLES: Offer valid at Hushpuppies.com for 30% off your purchase of select full-priced styles through 11:59PM EDT on 5/12/2019, or while supplies last. To redeem, enter promo code TREATYOURSELF at checkout. Discount taken before taxes and shipping charges. Offer excludes purchases at retail stores or other websites, sale purchases, Pro-deal purchases, prior purchases, kids merchandise, gift card and e-card purchases. Offer excludes the following styles: MEN’S: Bracco MT Oxford, Bracco MT SlipOn, Expert Knit Laceup, Expert Perf Oxford, Expert Perf SlipOn, GT, Performance Expert, Rainmaker, Shepsky PT Oxford, Shepsky SlipOn, Shepsky WT Oxford, Strategy, Venture. 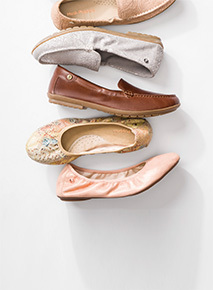 WOMEN'S: Abby Bow Ballet, Aidi Mocc SlipOn, Chardon Fisherman, Chardon Perf Oxford, Chardon SlipOn, Chaste Ballet, Lyricale 2 Band, Lyricale BackZip, Mazin Cayto, Olive Gladiator, Olive Xband Slide, Pepper Slingback. Cannot be combined with any other offer or discount. FREE BRACELET WITH PURCHASE: Offer valid for one (1) free Hush Puppies Bracelet (HPA1066) with any purchase of at least $99 at Hushpuppies.com through 5/12/2019, or while supplies last. To redeem, enter code BRACELET at checkout. Not valid on taxes, shipping charges, gift card or e-card purchases, prior purchases, purchases at retail stores or other websites. Void where prohibited. Additional restrictions may apply. Minimum purchase amount excludes taxes and shipping charges. Cannot be combined with any other coupon or discount.